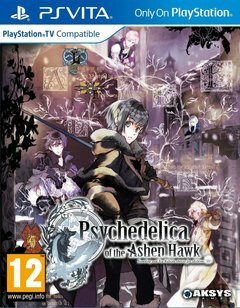 Psychedelica of the Ashen Hawk is the suspense-filled tale of a young woman who was born with an eye that gleams with a scarlet light. In order to avoid being persecuted as a witch, she masquerades as a boy and lives in a derelict tower on the outskirts of town. One day a mysterious relic is stolen from the church, and our heroine discovers that not only do magic stones exist and are hidden within the city, but also the secret of her origins. From creepy towns to shadowy mansions and ancient feuds, each of the three Summer of Mystery games feature suspenseful storylines and include a premium set of oversized character cards. Customers who purchase either physical or digital copies of the designated titles may email their receipts to get an exclusive set of collector pins. Only 1,000 sets of the enamel collector pins will be made, and are available on a first come, first served basis to US residents only between April 27 and July 31, 2018, or until supplies run out. A small shipping and handling charge will be applied, and pins begin shipping on July 1, not before. The promotion applies only to newly-purchased copies of the games, not used, and a final purchase receipt must be submitted, not pre-order receipts.